Paint the amazing sights of Tuscany. The workshop will focus on seeing the spectacular light and color— sunlit floral still lifes, ornate doors and gates, the stunning countryside, glistening rivers, idyllic street scenes, and much more. 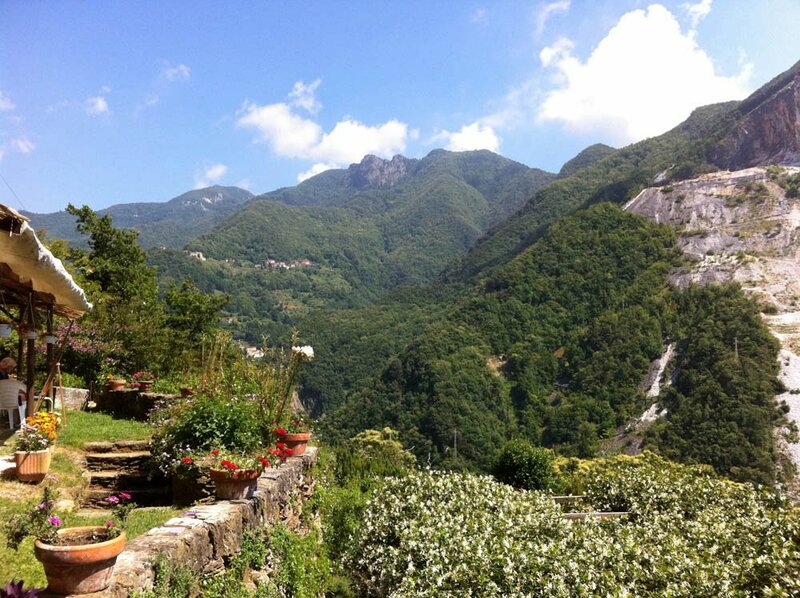 We will spend the first 2-3 days painting at Montorno, the country home of our Italian hosts. Taking advantage of the ease of set up and the conveniences of a studio and facilities, we will paint plein air around the property. There are dazzling Tuscan views, old doors and gates and even some goats. For 2-3 days we will be on location in quaint villages such as Seravezza, where Michelangelo once lived, painting the architecture, the people, flower pots on steps, and everyday scenes found in these unspoiled locations. The painting days will be overflowing with information. Angela will focus on the Impressionist Way of Seeing and Painting—Light, Color and Value. Her teaching style will include: demonstrations, easel-side instruction and handouts on key topics. Some of the topics will be; how to use exaggerated color to paint the Tuscan light, how to loosen up and have energetic paintings, and how to push your values so your paintings sparkle. Angela paints in oils, but students may paint in either oils or acrylics. All levels are welcome. Contact: Angela Nesbit, 704-560-1338 or angelanesbit@mac.com.